I am of Dutch origin and immigrated to New Zealand in 2000 with my Kiwi husband. I have always had a love for animals, especially horses. Back in the Netherlands I planned to become a Vet, however, fate took me into another direction at the time. While living in New Zealand, my desire to work with animals resurfaced. I also developed an interest in natural health therapies and completed a 4-year study in Animal Homeopathy at the BOP College of Homeopathy in 2010. I have been helping cats, dogs, horses, cows and sheep since. 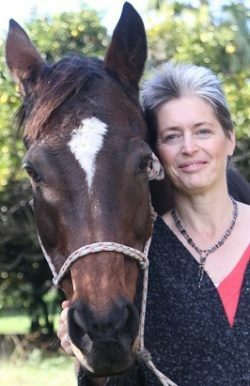 In my experience, animals respond well to Homeopathy and I have seen some amazing results. A lot of the clients that come to me have animals with (itchy) skin problems, seizures, anxiety and Cushing’s disease. I have developed an online Homeopathic First Aid Course for Cats & Dogs, for people that would like to use Homeopathy in acute prescribing for their animals for minor issues or as a first aid support. Besides Animal Homeopathy I offer Human and Small Animal Bowen Therapy, which is gentle and effective bodywork for muscular skeletal issues. I feel both therapies have the approach of treating a patient as a whole and they can work well together in certain cases. If you would like to know how Homeopathy could help your animal (Cat, Dog, Horse or other), please feel free to contact me for a no obligation chat. I offer both face to face appointments and consultations via Skype or Facetime.